Aged around 26 years Mrs Darby’s Stannah curved stair lift had served her well. Having numerous repairs over the last year she realised the stairlift was beyond economical repair. Receiving our details through a recommendation, Mrs Darby called us for an appointment with our surveyor. Higher Elevation Surveyors are qualified Lift Engineers. 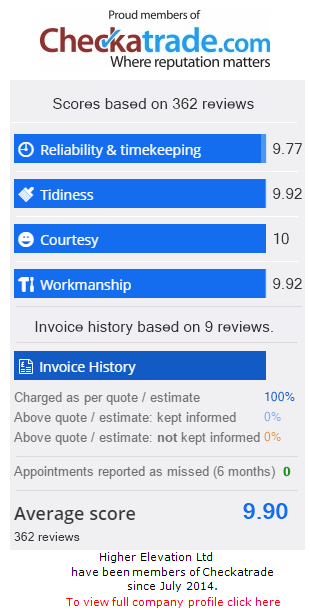 Our employees, we are proud to say are not Salesmen. Conducting our appointment with Mrs Darby we confirmed the Stairlift prices and options available. Mrs Darby, upon our discussions mentioned that the existing chair lift was not working. Reliant on her stairlift, the new lift was very much of the urgent nature. Stairlifts on a curved staircase can have an estimated lead time from 4-6 weeks. Mrs Darby not having a stairlift for this period has a huge impacted on her independence. 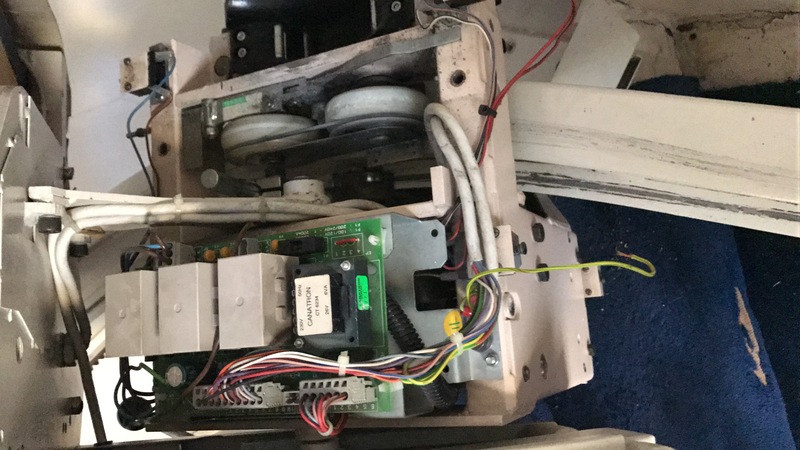 Our Surveyor who is a fully qualified engineer was able to work on the stairlift and enabled safe operation of the lift during the period of manufacturer for the new stair lift. We are proud to highlight that we do not have Salesmen upon our team. Mrs Darby’s existing Stannah Stairlift ages 26 years. 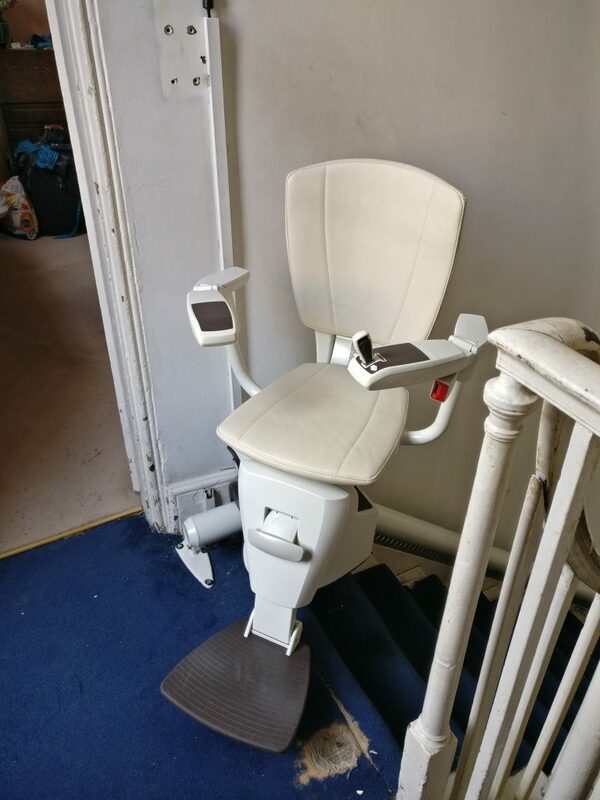 Serving her well over the years the stairlift was becoming unreliable and it was time for an upgrade. Mrs Darby was over the moon with the stairlift installation which was carried out within 4-6 hours. 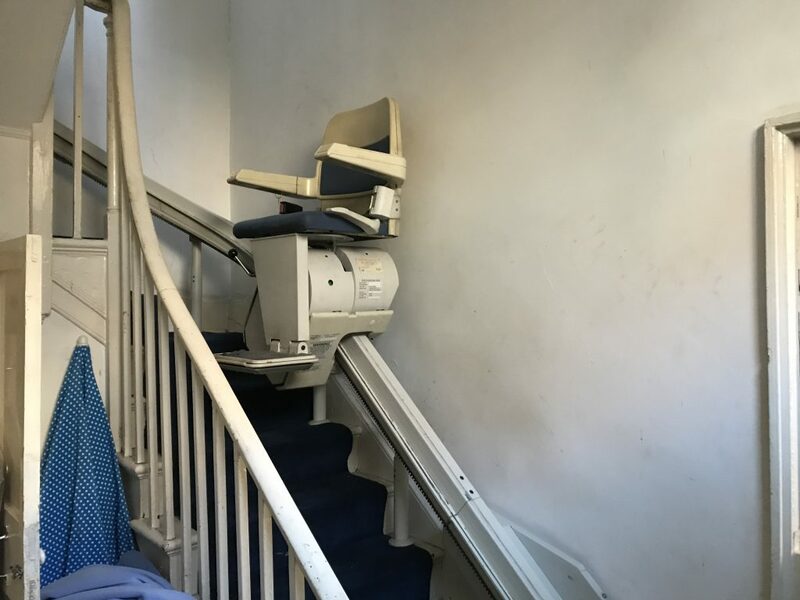 Choosing the Stairlift model; Flow 2 Apollo, complete with a single white rail and matching upholstery for the seat, the stairlift blended in well with the home decor.